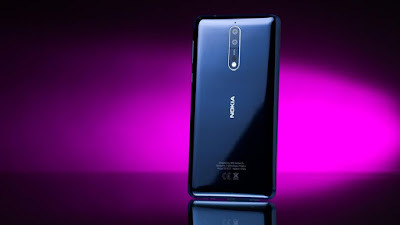 Home » » Is Nokia 8 a real flagship? Is Nokia 8 a real flagship? So finally Nokia has announced Nokia 8 globally. 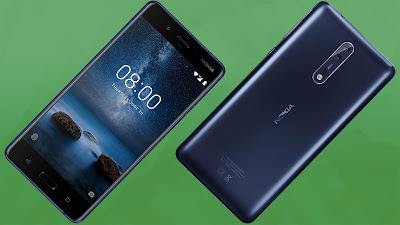 Nokia 8 is the first android flagship phone from Nokia. 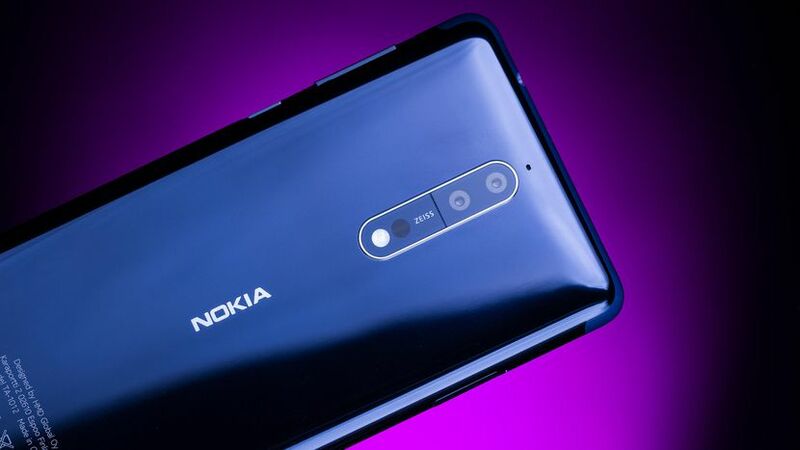 Now we all know that HMD Global owns Nokia, it has taken a right decision of powering Nokia devices with android. Earlier this year we came across other Nokia devices, Nokia 3, Nokia 5 and Nokia 6. All these are also powered by Android. But all these phones are budget oriented devices. So let's see some of the specs of Nokia 8 which is a flagship device and see whether it has anything worth flagship phone or not. So these are some of the specifications of Nokia 8. So let's see some of it's features in details. Nokia 8 is powered by Qualcomm's snapdragon 835 chipset which is the flagship processor form Qualcomm this year. So there is nothing to worry about the performance of the device. 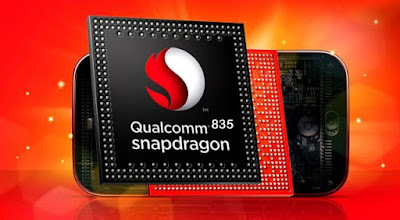 We all know that snapdragon 835 is enough to handle any smartphone task without any issues as many of the other flagships such as Samsung S8 and OnePlus 5 are also powered by this chipset and their performance is among the best phones this year. Also for good graphics this is powered by Adreno 540 GPU. So Nokia 8 will not face any issues while playing heavy games or doing any graphic intensive tasks. Nokia 8 is well designed phone. It has very good design as a flagship phone should have. It has thickness if 7.9mm at the thickest point. The phone weighs 160 grams. On front it looks just like Nokia 5 or 6. But the back is different, it has polished finish at the back which looks super premium. Actually company is using 6000 series of Aluminum here at the back of Nokia 8. Company has provided this metal a polished finish. That's why it looks shiny. But it also makes the phone slippery as well. 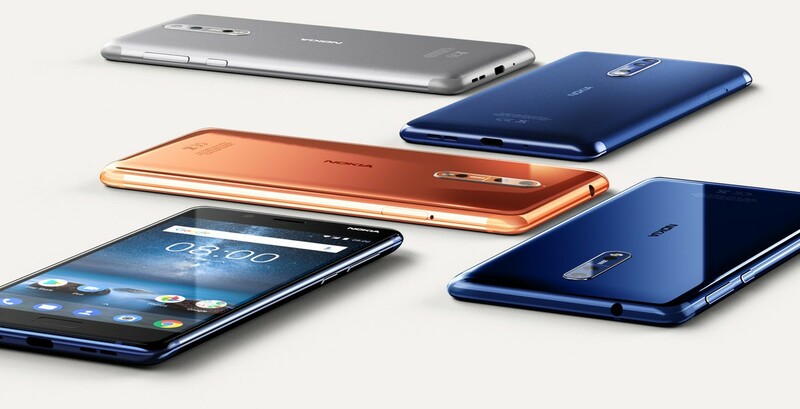 So company has not compromised with the design of Nokia 8 and give it a premium touch. On front it has quad HD IPS LCD display. It has 5.3 inch size. The display quality will be good as it can go upto 700 nits of brightness. The display is protected by Corning Gorilla Glass 5. On front it also has a home key which doubles as a fingerprint sesnor. The phone is also having all other basic sensors such as Proximity, Compass, Ambient Light Sesnor, Gyro, Accelerometer, Heart rate. Camera is the main highlighting point of Nokia 8. 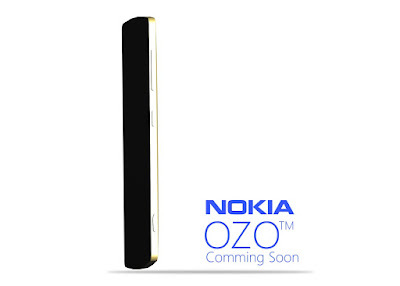 For camera department Nokia has collaborated with Carl Zeiss. It has dual 13MP camera at the back with f/2.0 aperture size. This dual camera setup is same as found on Honor P10, in which one sensor is a simple color sensor while other sesnor is a black and white sensor. So these both work together to produce better images. It also has Optical Image Stabilization for better shots. Also it has Phase detection Autofocus and laser autofocus system. It can record videos upto 4K. On front it has 13MP secondary camera with f/2.0 aperture size. It can also record videos upto 4K. So the feature of Nokia 8 camera looks great but real performance can only be revealed after testing it. Nokia 8 is powered by Stock Android just like other Nokia phones this year. So the user experience will be very good on Nokia 8 due to this stock android. Nokia 8 will not have any bloatware pre installed. Also it will get faster android updates due to this. Nokia 8 is having Android 7.1.1 which will surely get updated to Android O in future. It also has all features provided in Nougat such as split screen and all others. The phone uses many microphones to record really high quality audio. It has some Nokia Ozo which results in 360 degree audio recoding. So it helps in recording videos with very good audio as well. For sound output it has one single speaker at the bottom. Also it has 3.5 mm headphone jack for sound output. Nokia 8 has 3090 mah battery. It has slightly less battery life because these days we came across phones which even have 5000 may battery. Also Nokia 8 has quad HD display which will consume more power. So as a flagship Nokia 8 should be powered with a larger battery. Also the phone is having quick charging for fast charging. Nokia 8 is priced at €600 which translates to around 45000 INR. According to me this pricing is a little bit high for a Nokia phone, while company is trying to come back in the market. It's pricing appear high because smartphone with similar specs OnePlus 5 is already available in the market at a lower price. And also Nokia has also lost it's earlier position in the market. So the company HMD Global has to understand this condition. But still the pricing is lower than that of Samsung S8, but Samsung S8 has many additional features than this such as curved edge functionality , infinity display, more sensors, totally waterproof, better brand value and many more. So the pricing is not even very high, it's somewhat on the mediocre side.